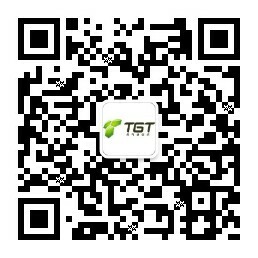 E-commerce is definitely the business focus nowadays. But with the advent of computer applications and the internet, cyber-attacks, threats and hacking happen every day, whereas network vulnerabilities are inevitable. 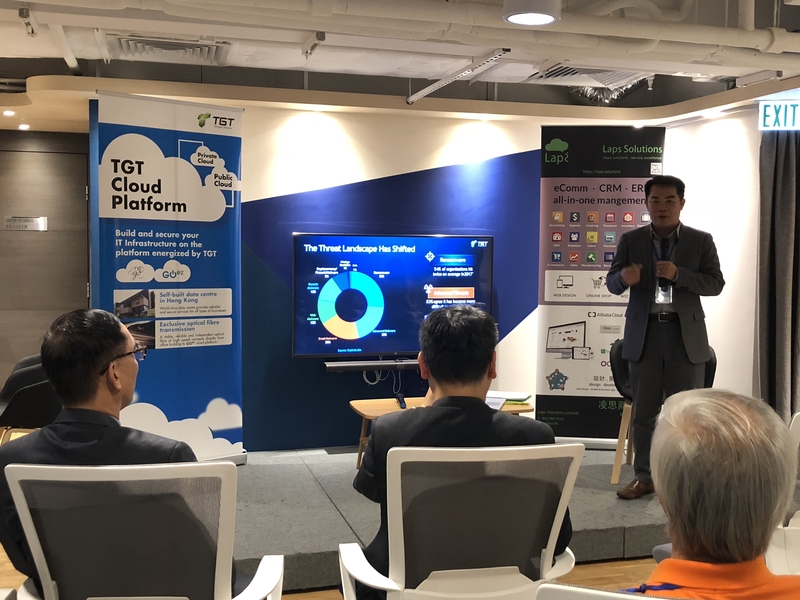 How to reduce risks and avoid becoming a target of cyber-attacks has become a hot topic of concern. 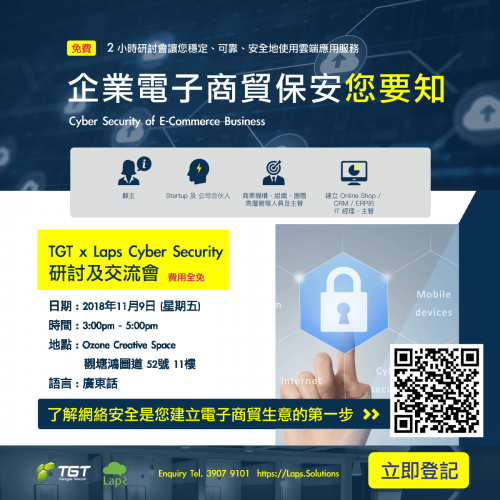 Towngas Telecom (TGT) and Laps organized a seminar on 9 Nov to share the topic of “Cyber Security of E-Commerce Business” by letting everyone know that cyber security is the very first step in establishing e-commerce business.